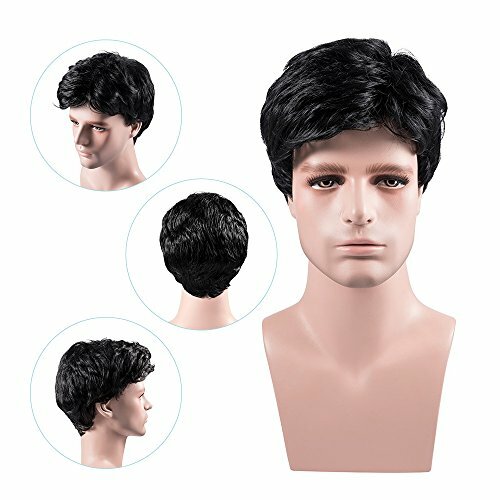 Black Man Wig: Special Prices. Halloween Store. Incredible selection of Halloween Costumes, Halloween Decorations and more! 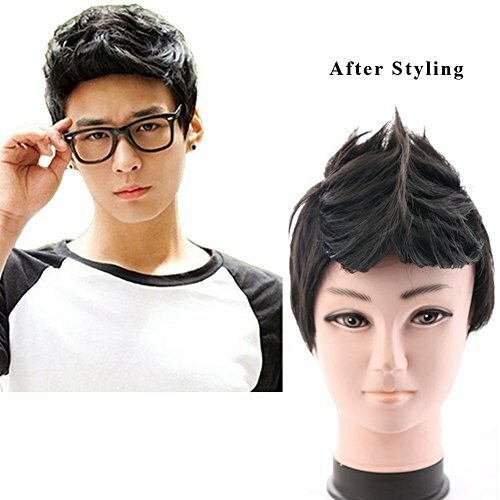 1.Hair Material: Premium Synthetic Fiber (flexible and comfortable) 2.Cap Size: 22-22.75", Soft stretch cap with adjustable straps, The size can be adjusted freely. 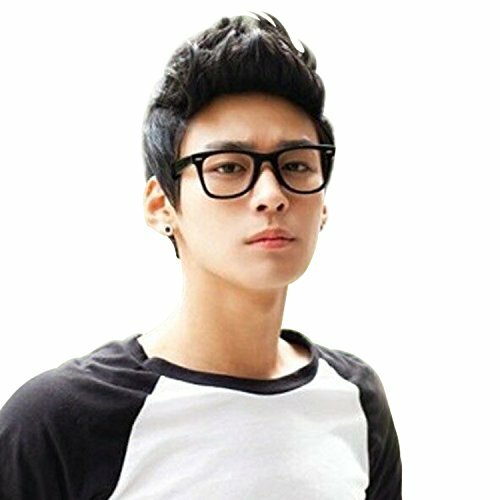 3.Hair Color: Natural Black, Dark Brown, Golden Brown, Light Blonde, Light Gray, etc. 4.Hair Length: 6 inches Washing Method: 1. Wash in cold or warm water 2. Add a dash of Shampoo and wash gently 3. Rinse throughly in cold water 4. Do not brush when wet allow wig to drip dry 5. Brush wig into desired style after it is completely dry Curls will snap back into position when the hairpiece is completely dry 6.Comb or brush with products made for synthetic Warm Tips: 1. Due to the long-term squeeze storage, you may need to shake and comb it when you style your wig. It will show the same effect as pictures. 2. There could be some slight differences between the color tone of the photo and the actual item due to the effect of light and the different monitor's brightness. 3. We accept product return within 30 days from delivery date. If your order is fulfilled by Amazon you can contact the Amazon Customer Service for a refund and return the items. 4. We aim to make all the customers satisfied. We cherish the cooperation with everyone. Please feel free to contact us if there is any problem. 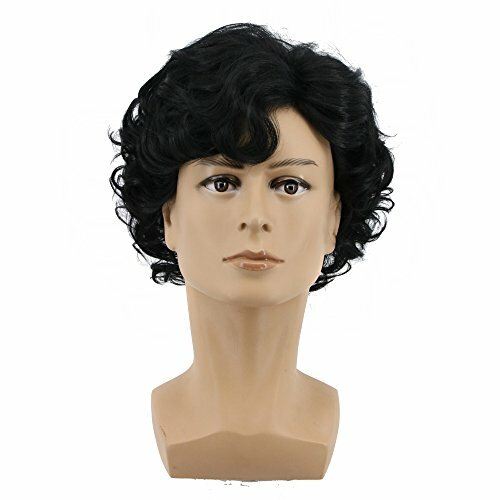 MelodySusie Wigs - A new look for a new you. More and more women have taken to wearing wigs in recent years. Wigs allow you to show off different looks without spending time or effort on styling. Best of all: you don't even need to have hair! Don't you think it's past time for men to get in on the fun too? A MelodySusie wig isn't just a new hairstyle, it's a new you. 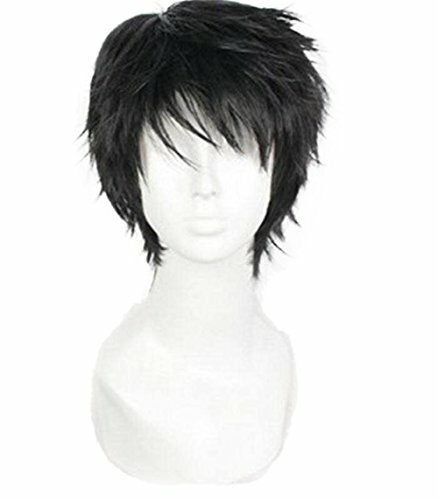 Our wigs are made from state-of-the-art Kanekalon modacrylic fiber-the gold standard of retail wig fibers. Kanekalon is famous for its ultra-realistic matte look and feel. 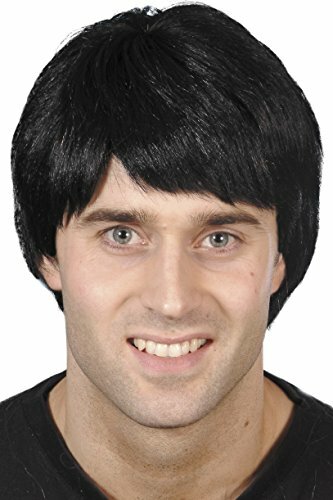 Unlike most wigs, ours are easy to put on and comfortable to wear, with no itching or sliding around. All wigs are not created equal, that much is obvious as soon as you put on a MelodySusie wig. 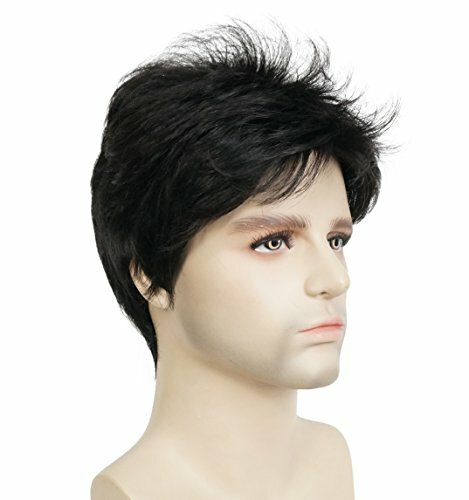 Product Details: Weight: 90g/3.2oz Bangs: Short bangs/Medium bangs Color: Dark brown/Black Cap Size: Default 22"; adjustable between 21.5-22" Products Included: 1xMelodySusie Wig, 1xMelodySusie Wig Cap Q. 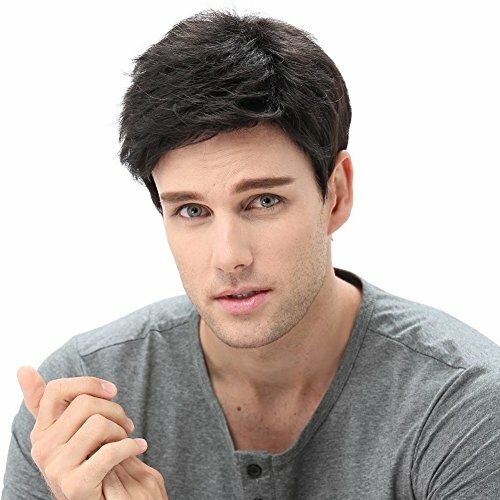 Can I use hairstyling products or devices on the wig? A. We recommend against it. Devices like hair curlers and products like hairspray or gel can tangle or even damage the wig. Q. Can the wig be cleaned? A. Yes, it's easy to clean in just 20 minutes or so. Please see user manual for the full cleaning process.